Pfizer will pay $250 million to AstraZeneca in order to gain the rights to sell an over-the-counter form of the big-selling drug Nexium. Nexium is currently a prescription-only drug developed by AZ that is approved to treat the symptoms of gastroesophageal reflux disease (GERD). But Pfizer has paid the firm $250 million to be able to sell the OTC version of the drug from 2014, the year it loses its patent. 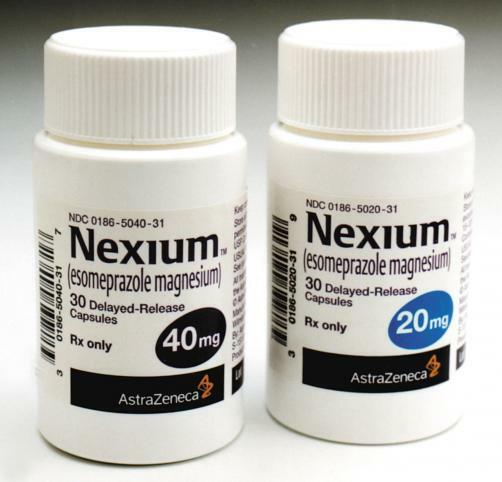 Nexium, a proton pump Inhibitor, was launched by AstraZeneca in Europe in 2000 and the US in 2001. The company said it would continue to manufacture and market the prescription product, as well as supply Pfizer with the OTC product from 2014, from which it AZ will receive milestone and royalty payments from Pfizer. The drug is AZ’s second biggest seller, and brought $949 million for the second quarter, and was the world’s fifth-best-selling medicine last year, with global revenue of nearly $8 billion, according to health data firm IMS Health. The company said a marketing application for Nexium’s OTC version was filed with European health regulators in June - the application for US approval is expected to be filed in the first half of 2013. AZ said it was also looking for more tie-ups with other drugs that are eligible for OTC status. Tony Zook, executive VP of AstraZeneca’s global commercial organisation, said: “We’re pleased to work with Pfizer Consumer Healthcare and believe their expertise in the sales and marketing of consumer health products makes them the optimal partner to commercialise OTC Nexium globally. The deal has been good for the Anglo-Swedish firm and has led to AZ raising its 2012 guidance - its core EPS target has now been increased to the range of $6.00 to $6.30. Conversely Pfizer has cut its profit forecast due to the $250 million payment, and now expects full-year profit of between $2.12 and $2.22 per share, down from its prior forecast of between $2.14 and $2.24 per share. But in the long-term both AZ and Pfizer should recognise a steady income from the drug, and will benefit AZ by helping it see revenue from the Nexium even after it loses patent protection in 2014. “Pfizer is continuing to enhance the value of our Consumer Healthcare business,” stated Ian Read, Pfizer’s chairman and chief executive. The two companies also said they have signed a deal giving Pfizer first refusal on the non-prescription rights to AstraZeneca’s Rhinocort Aqua, a nasal pump spray for treating hay fever and dust mite allergies. AZ has suffered early generic pressures in recent years after the Indian generics firm Ranbaxy sought to expose a loophole in Nexium’s patent and fought to develop its own form of the drug. Ranbaxy submitted its form of Nexium to the FDA in 2006, but AZ fought the firm over its submission. The case was finally settled in 2008, but with an agreement that the Indian company could sell a generic version under licence in the US from May 2014. The drug’s protection in Europe was undermined when a ‘composition of matter’ patent was ruled invalid by the European Patent Office in late 2006. This allowed Ranbaxy to launch a generic form of the drug in several European counties, including the UK and Germany, last year. Aware of the patent issues, AstraZeneca sought European approval for a new version of Nexium (under the proposed brand name Axanum) in Europe last year, which includes a low-dose of aspirin (acetylsalicylic acid or ASA) and Nexium. In November 2010, European regulators raided the offices of AZ over alleged anti-competitive behaviour relating to Nexium. The EU believed that AZ was blocking generics from entering the market, but has since taken no action against the company.